EnviroLab Asia encourages teaching and learning on environmental issues in Asia through offering course development or redevelopment awards to faculty. The courses advance the guiding principles of EnviroLab Asia, establish innovative pedagogical models for studying environmental issues in East and Southeast Asia, and integrate closely with related and disparate courses, initiatives and projects across the Claremont Colleges. EnviroLab Asia also aims to advance Asian-language learning about environmental issues. 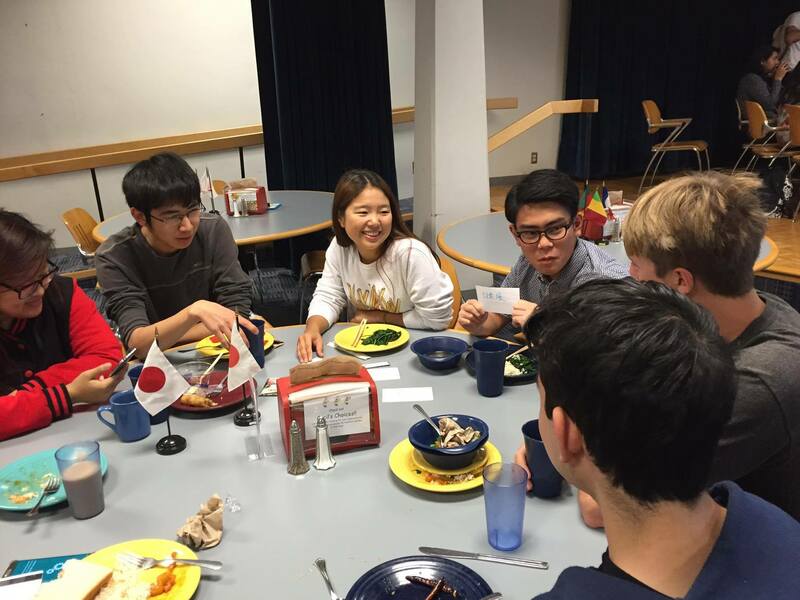 Professor Kyoko Kurita’s Research Assistants teach vocabulary that would enable students to discuss environment-related issues in Japanese at the Japanese Conversation Table at Oldenborg Center. This discussion-based course provides an introduction to East Asian social and political movements from the 1960s to the present, focusing on power, resistance, and identity. Drawing from history, sociology, anthropology and politics, it examines a range of social and political movements, including: civil rights, anti-colonial movements, democratic movements, labor and environmental movements. Animal Media Studies examines representations of animals in film wildlife documentaries, animated features, critter cams, scientific data, and video art â€“ to address fundamental questions about human and animal nature and culture. Animal Studies is an interdisciplinary field in which scholars from philosophy, biology, media studies, and literature consider the subjective lives of animals, animals in cultural traditions, the borderline between human and animal, and the ethics of the human-animal relationship. The 2019 course, enhanced by EnviroLab Asia, will highlight cultural and environmental issues brought up by films about animals in East and Southeast Asia, such as orangutans and dolphins. How does religion change across time and space? This course examines the ways in which Islamic concepts, symbols, and discourses change across different geographies and time periods. In our explorations, we are particularly interested in (1) cataloging the vast diversity of Islamic expressions in different times and places; (2) exploring how actors in these different regions and eras may make claims about ‘authentic’ Islam; and (3) exploring how language associated with these authoritative claims often presents Islam as unchanging. This course assumes no previous knowledge of Islam. This course features newly added material related to Asian Environmental Studies and is part of a cluster of courses sponsored by EnviroLab Asia, a 5C initiative is funded by the Henry Luce Foundation. This course takes an intersectional approach to environmental studies, emphasizing critical feminist, queer, trans, race, and disability studies. Highlighting decolonial and indigenous thought in particular, course assignments examine planetary futures that reflect on how histories of imperial conquest, settler colonialism, and global capitalism have contributed to anthropogenic climate change. Another goal of the class is to question how contemporary approaches to environmentalism might have arisen out of already limited epistemological frameworks and legal histories. As part of our investigation into the asymmetrical distribution of toxins and environmental fallout across different populations, students will not only grapple with biopolitical theory but also look to a range of cultural texts – from science fiction films to contemporary fiction to graphic art – to consider alternative political formations and strategies for survival. Actors will continue to deepen their understanding and use of acting techniques to instill depth and breadth in the portrayal of believable characters whether they are based on reality or imagination. This will lead them to live in the context and confines of a story based on the core principle of seeking truth. A component of this course will utilize environmental theatre as a tool to learn performative pedagogy and an awareness of climate change issues across the globe. This course is geared for First Year students to engage them into the creative process, dramatic theory and performance praxis that deal with environmental issues that are currently affecting us. In addition, the actors will learn to create the physical life of the character, as well as create human activity in correspondence to the relationship of others that is required for any moment in any part. Actors will gain full self-expression and a way to connect with others integrity and gravitas. This course will examine the primary literature and incorporate lectures from specialists to explore theories, patterns, and predictive methods relating to Conservation Biology. While intended to be a discussion course, it will also include trips and hands-on activities in class and at the Bernard Field Station and guest lectures. 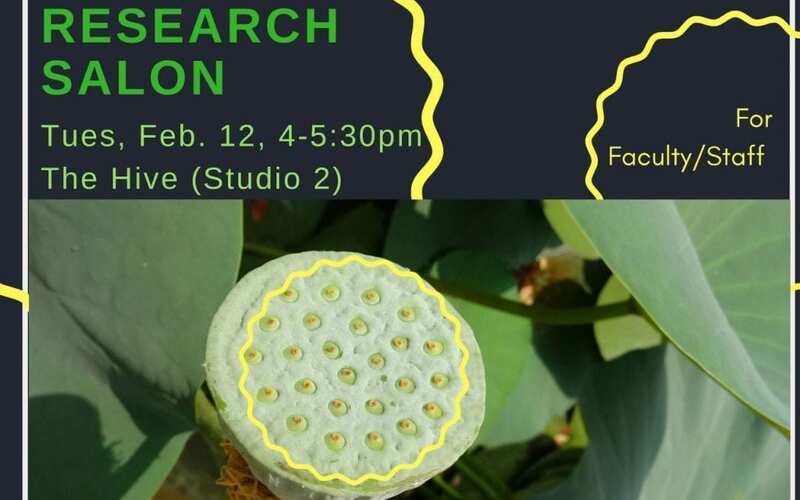 This course will focus on two geographically and ecologically distinct regions (SE Asia and California) to allow you to draw deep connections among the topics covered within each region, while also identifying commonalities that effect global conservation efforts. The goals are to become acquainted with the local and global conservation issues, understand how different ecosystems function and how perturbations influence ecosystem services, and be able apply concepts to effectively protect rare species and key ecosystem services. The course is designed to apply the fundamental ideas of chemistry to environmental concepts and incorporate them into environmental issues faced by communities. Major topics include water, air, and land pollution, industrial ecology, and chemical techniques for environmental analysis and remediation. This semester we will focus on environmental issues in the Asia-Pacific region. Student projects will be focused on real-world data gathering and/or analysis needs of the Asia-Pacific Economic Cooperation (APEC) Energy Working Group. The course will also be taught in tandem with a professor at a University in an APEC economy, so we will be able to share ideas and present our research projects to students in another country, via video conferencing. The course explores the economic foundations for public decision-making regarding environmental quality utilizing tools from intermediate microeconomic theory. The course examines the role of the environment within the theory of market failure with particular focus on public goods, externalities, and asymmetric information. Economic incentive-based approaches to correcting environment-related market failures including pollution taxes, cap and trade programs, liability, and information disclosure requirements are emphasized. The course also examines the process of benefit-cost analysis and related methods for valuing improvements in environmental quality. This semester the course will include empirical applications of environmental economics and policy in Asia. Policymakers, businesses, scientists, and civil society around the world are increasingly concerned about the environmental and social impacts of production and consumption. Thus, estimating the environmental impacts of a product throughout its entire life cycle, i.e., from ‘cradle to grave’ or ‘cradle to cradle’ is a useful exercise for reducing resource and energy consumption and the release of unwanted pollutants to the environment. The growing field of research and applications known as Life Cycle Assessment (LCA) continues to develop new and improved methods for estimating life cycle impacts of products and services. In this course you will learn about the history of LCA, its theoretical framework, practices and conventions, data needs, its connections to disciplines such as toxicology, epidemiology and economics as well as the many decisions life cycle assessment experts have to make when conducting a full assessment. To this end the course combines theory with practice, typically in one class being more lecture style and the other being more lab style. The lecture-style classes will consist of presentations by Prof. S, group and whole class discussions, and hands-on practical exercises. The lab sessions will introduce you to one of the most widely used software packages, SimaPro, and we will practice developing LCAs. This course examines various facets of relations among nations of East Asia. The first theme of the course is East Asia History. This section is designed to provide students historical context to elucidate some of the underlying causes of conflict areas today. The second theme is Politics and Security Relations in East Asia. This section aims to provide students an in-depth understanding of Chinese, Japanese, Korean, and Taiwanese security issues. Students will be expected to utilize both theoretical and empirical analysis to critique the dominant arguments offered by policymakers and academics concerning regional security. The third theme of the course, Society and the Environment, examines socioeconomic and environmental stressors on states and the region. Students will then have an in-class debate on an issue involving migration, the environment, or gender. The final theme of the course, Culture and Historical Memory examines various areas of dispute. Students will approach the topics of sports and historical memory from a variety of analytical frameworks and then apply their knowledge in a tabletop exercise and negotiation simulation. Each section requires studies to understand the causes of conflict and develop possible solutions to regional challenges. Although the focus of the course is on East Asian states, pay close attention to the importance of other states (and non-state actors) in the Asia Pacific Region. The goals of this course are for students to gain a deeper understanding of the complex disputes in East Asia, gain confidence defending one’s positions, and develop coherent and realistic policies to resolve regional conflict. This course is designed for advanced students of Korean who would like to improve their Korean through readings of various modern Korean texts. Reading materials are selected from short stories, newspapers, journals, and TV programs. This course will utilize extensive reading of Korean as an opportunity for students to better understand Korean culture and to hone their critical perspectives on culture and cultural differences. For this purpose, the texts for this course have been selected to cover three major aspects of Korean culture: politics, society (with a focus on environmental issues), and literature. This course examines one of the most remarkable political developments of the past century: the rise, within a single generation, of environmental concern and associated social movements and public policies in far-flung societies around the globe. What was once the preoccupation of small numbers of citizens in wealthy countries has become a major global trend inspiring political action from Rio to Budapest, Hong Kong, Lagos, and Tehran. This affords us several opportunities. First, we will switch from the wide-angle lens of “Saving the Planet” – symbolized by the image of Earth seen from outer space – to take a closer look at the political challenges faced by environmental advocates in diverse domestic settings. Specific topics include comparative political systems, policymaking styles, changes in values, environmental movements, state-society relations, authoritarian regimes, democratization, resource conflicts, decentralization, policy reform, gender analysis, and European unification. We will also use the environment as a window into broader themes in comparative politics – the subfield of political science that compares domestic politics around the world. Students will learn how to work more effectively in foreign settings by assessing the political context in which technological and policy innovations are applied. Finally, the subject allows us to study one of the leading edges of environmental research as it unfolds, lending insight into the practice of professional research. In this course we will examine the intersection of theories of environmental degradation, economic development, and gender. This seminar asks students to critically analyze and reassess competing explanations of environmental degradation in lower-income and middle-income nations, with case studies in Southeast Asia, South Asia, China, East Africa, and Latin America. We examine theories explaining the root causes of deforestation, biodiversity loss, soil erosion, and species extinction in the developing world. Are certain forms of environmental degradation caused by a lack of economic development? Too much economic development? The misapplication of a development model? A legacy of colonialism? Imperialism? Globalization? Patriarchy? Environmental vulnerability? To what extent might climate change play a role in making marginalized populations increasingly vulnerable to deforestation and natural hazards such as flooding and fires? To address these questions, we will study different social theories and their feminist interpretations that have been used to understand environmental problems in developing countries. Topics and/or social theories to be examined include: modernization theory, dependency theory, women in development vs. women and development, controversies over economic globalization, cultural ecology, ecofeminism, political ecology and gender and the environment, natural hazards, and issues around climate justice. The purpose of the readings is to understand theories as tools that help us to understand some aspects of some situations, but perhaps not all aspects of all situations. Students are expected to actively participate in discussion, co-lead three seminar sessions, and write a brief case study and five 5-7-page analytical papers that apply theory to a real world situation. The course will examine twentieth-century and twenty-first-century activist and political art performance in the U.S. and Asia, as it played out in visual art, theatre, music, dance and multimedia. The first half of the course will examine past practice focusing attention primarily on four forums: the U.S. civil rights movement, AIDS activism, the women’s rights movement, and the global environmental justice movement (including a focus on the U.S., Fukushima (Japan), China, Borneo (Malaysia) and Vietnam). We will examine the various strategies, theories and case studies. In the second half of the course, reflecting on the successes and failures of past activist artists, we will construct a toolbox of techniques for addressing current issues and then students will create their own own political and activist art performances. The course culminates in the creation of student-directed and student-performed activist art works coordinated by members of the class and presented publicly, and for the students of the Scripps College Academy. There will be a particular emphasis on art focused on environmental issues and activist practices in Asia, and on working with visiting lecturers, faculty and students from related disciplines in the 5Cs to address current environmental crises in Asia. These topics will include: ecosystems, climate change, energy and food production, land resources, pollution, sustainable development and indigenous resistance, and how they relate currently to colonialism, and capitalism, among other issues. Are we the products or the producers of our environments? This course offers an interdisciplinary, comparative approach to the literary expression of Japanese temporal and spatial concepts from the 8th century onward, with some reference to China and Korea. The focus, however, is on modern Japan, which in some ways “left Asia,” looking ahead to a very foreign time-space but trying to comprehend it with a language that does not even have a future tense. How have these transitions been negotiated conceptually in media such as literature? Some consideration of other cultural sources, such as cinema and the arts, will enrich the discussion; more practical factors such as urban design, maps, and transportation networks will also be examined. ffect low-income and marginalized groups to a greater degree than others. These resource and pollution issues are caused by the production and consumption choices of societies, and one lens to understand these choices is environmental economics. Students should understand the key concepts of choice under scarcity and externalities in this framework. Then, students should learn the various regulatory and political approaches to controlling pollution. Finally, we focus on the science and policy of climate change, and the environmental justice issues inherent in the policy choices. Chinese 125: Modern Chinese Literature is a fourth-year Chinese language class designed to advance comprehension of and critical reflection on modern and contemporary Chinese literature and cultural literacy. In terms of the content, the class will focus on three thematic units that are involved with the birth and the development of modern and contemporary Chinese literature and how the works articulate with the socio-political changes in China and other Sinophone communities. The three unites are “Nation-state, Modernization and the Vernacular Movement,” “Urbanization and Individualism,” and “Environmental Issues, Nature Writing and Ecocriticisms.” Worksheets will be provided to initiate students to do online research, to guide students to do close reading on selected texts, and to consolidate learning of new vocabulary words and sentence patterns. A few speed-reading practices and video clips will be used to sharpen reading and listening comprehension skills. Linguistically speaking, the class is designed to strengthen students’ communicative ability such that they are able to describe and narrate in the form of organized paragraphs and discourse, which ACTFL equates with advanced language proficiency. While fastening the floor of advanced-level proficiency, the class also includes tools and tasks, strategically implemented throughout the semester, to prepare students to reach the next superior level, which requires them to be able to discuss abstract topics, support their opinions, and provide solutions in hypothetical situations using abstract vocabulary and extended discourse. This class explores how societies have interacted with the natural world from roughly the fifteenth century to the present day. We consider nature not only as physical forces and spaces but also as the meanings and values ascribed to them. We will ask how nature has affected practices and policies and vice versa as a departure point for thinking about the historical roots of contemporary environmental thinking and problems. As part of the class, students will conduct research on Southeast Asia and its current environmental challenges. The class will divide into teams, each of which will study one major issue and compile research into a Sakai project site to be shared with other students and faculty participating in EnviroLab Asia. “Science and the Environment” is an introduction to the principles of environmental science with applications in chemistry, ecology, physics, and geology. Fundamentally, this class is about the dynamic world around you: how the ‘living’ planet works, how our activities affect natural systems and human society, and how the careful practice of science can help solve or mitigate environmental problems. Over the next four months, we’ll discuss an array of topics to illustrate the fascinating and vital linkages between ecosystems, climate change, energy and food production, land resources, pollution, and sustainable development. In many cases, we will discuss these topics in the context of current and historical environmental science issues in Asia.